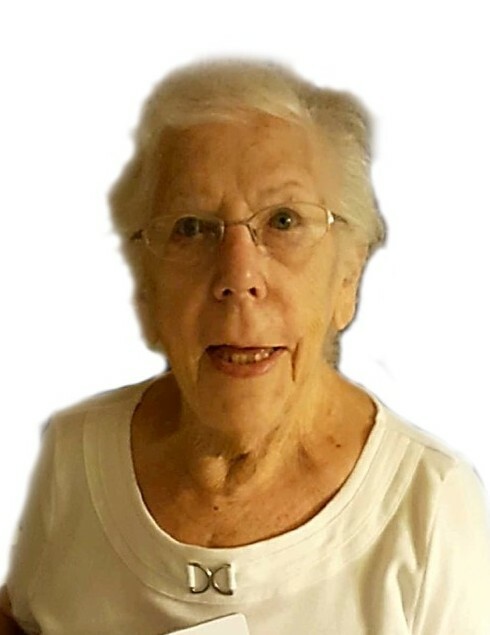 Elinor "Ellie" Colucci Cole, 90, of Fayetteville, died Tuesday, January 15, 2019. She was born in Stamford, CT on May 16, 1928 to the late Leonardo and Louisa (Nole) Colucci. Ellie was preceded in death by her loving husband of fifty plus years, Henry “Rusty” O. Cole; her only son, Kelly Cole; and a grandson, Gregory Berryhill. She is survived by her two devoted daughters, Heidi Berryhill (Mike) and Kerry Gerzog (Jon); her grandsons, Michael Berryhill, Matthew Berryhill (Felicity) and Jeffrey Gerzog; and son-in-law, Chris Sherbak. Prior to her death, Elinor was a resident of Carillon Assisted Living in Fayetteville. Earlier in her adult life, Ellie organized activities that helped her girls and other troop members earn Girl Scout badges. Ellie and her family participated in several organizations to include Cumberland Family Campers and a square dance club, the Fort Bragg Braggarts. For some time, Ellie had also volunteered in the Guidance Department at South View High School. She was a member of the Retired Military Association Auxiliary as well as the Blue Street Senior Center. As a doting grandmother to four active grandsons, Elinor often encouraged them by her attendance in their activities. Ellie expressed her love of baking and cooking by collecting cookbooks and frequently mastering new recipes with the creations enjoyed by her family. As a young mother, Ellie excelled at sewing and often created clothing for her girls. She also loved a good match of Dominos as well as a table-top marble game. When their children were young, Ellie and Rusty traveled with their camper extensively throughout the US. In their later years, Ellie and Rusty toured many destinations with the Road Runners club by bus. Visitation will be on Tuesday, January 22, 2019 in the evening from 7-9 pm at Rogers and Breece Funeral Home. Services will be at the funeral home on Wednesday, January 23, 2019 at 10:30 am with a 12:00 pm burial at Sandhills State Veterans Cemetery, where her husband is buried.